Note*: He was employed by the U.S. Postal Service in Dallas. [S758] Ralph Bartlett, family group sheet, 19 Aug 2002 (naming Clyde McDaniel Bartlett as his father). [S758] Ralph Bartlett, family group sheet, 19 Aug 2002 (naming Vesta Allice Evans as his mother). [S11] Index to Texas Death Records (Austin, Tex. : Tex. Dept. of Health, Bur. of Vital Statistics), typescript, 1964-1988 (microfiche), p. 2332, file 93531-77 (giving only the date). [S58] Index to Texas Birth Records (Austin, Tex. : Tex. Dept. of Health, Bur. of Vital Statistics), typescript 1926, vol. 1, p. 85, file 48332 (giving the date and naming the county but not the town). [S163] Texas Social Security Death Records, compact disc CD49 (n.p. : Automated Archives, Inc., 1991), (giving only the date). 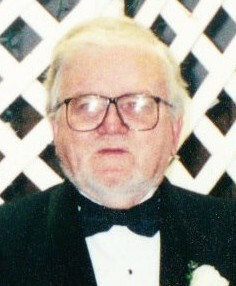 [S758] Ralph Bartlett, family group sheet, 19 Aug 2002. [S11] Index to Texas Death Records, typescript, above, 1964-1988 (microfiche), p. 2332, file 93531-77 (stating that he died on 26 Nov 1977 in Harris Co., Tex.). Oma Pearl Owen McCorkle, courtesy of Audrey Vodehnal. • Her memorial on Find A Grave, which includes a picture of her and her husband, is here. [S961] Find A Grave, online at http://www.findagrave.com, memorial for Oma Pearl Owen McCorkle, memorial no. 33546023, viewed on 24 Sep 2011 (naming Henry Wilborn Owen as her father). [S961] Find A Grave, online, above, memorial for Oma Pearl Owen McCorkle, memorial no. 33546023, viewed on 24 Sep 2011 (naming Martha Augusta Lane Owen as her mother). [S160] Mary Jo Deaver, 1218 Northwood Lake, Northport, Ala. 35476, family pedigree chart, 10 Nov 1979, in Navarro County Genealogical Society Family Pedigree Charts (Corsicana, Tex. : The Navarro County Gen. Soc'y, 1980), chart no. 4. [S312] Social Security Death Index, online at http://tinyurl.com/AncestrySSDI, viewed on 30 Mar 1998 (giving the date but not the place). [S334] Mrs. Daniel J. Tindol, 2200 Vine, Brownwood, Tex. 76801, letter to Roger Bartlett, postmarked 2 Mar 1976, (giving the date but not the place). [S498] Vena Bob Gates, Julie Terry, & Ralph Terry, comps., Coleman County Cemetery Inscriptions, vol. 1 (Coleman, Tex. : Terry Studio, 1988), p. 211 (common marker with R. Ed. McCorkle) (giving the date but not the place). [S961] Find A Grave, online, above, memorial for Oma Pearl Owen McCorkle, memorial no. 33546023, viewed on 24 Sep 2011. [S498] Vena Bob Gates, Julie Terry, & Ralph Terry, comps., Coleman County Cemetery Inscriptions, vol. 1, above, p. 211 (common marker for R. Ed. McCorkle and Oma P. McCorkle) (giving the date but not the place). [S961] Find A Grave, online, above, memorial for Robert Edmund ('Edd') McCorkle, memorial no. 33545863, viewed on 24 Sep 2011 (giving the date but not the place). [S160] Mary Jo Deaver, family pedigree chart, 10 Nov 1979, above, (stating that they married in Peacock, Texas but giving the date as 17 May 1915). [S11] Index to Texas Death Records (Austin, Tex. : Tex. Dept. of Health, Bur. of Vital Statistics), typescript, 1964-1988 (microfiche), p. 27425, file 73919-83 (birth and death). [S312] Social Security Death Index, online at http://tinyurl.com/AncestrySSDI, viewed on 30 Mar 1998 (stating that she died in Aug 1983; not naming the place of death but stating that she lived in Coleman, Texas when she died). [S498] Vena Bob Gates, Julie Terry, & Ralph Terry, comps., Coleman County Cemetery Inscriptions, vol. 1, above, p. 211 (giving only the date) (common marker with R. Ed. McCorkle). [S498] Vena Bob Gates, Julie Terry, & Ralph Terry, comps., Coleman County Cemetery Inscriptions, vol. 1, above, p. 211 (common marker with R. Ed. McCorkle). [S334] Mrs. Daniel J. Tindol 2 Mar 1976 letter, above, (naming Oma Owen McCorkle as her mother). [S334] Mrs. Daniel J. Tindol 2 Mar 1976 letter, above, (indicating that Oma Owen McCorkle was her mother). 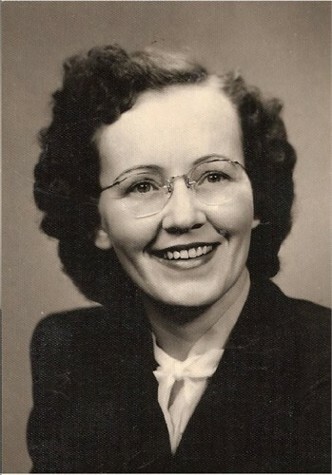 Edna Erle McCorkle, courtesy of Audrey Vodehnal. Other Names*: Edna Erle Farr, Edna Erle Tindol. [S334] Mrs. Daniel J. Tindol, 2200 Vine, Brownwood, Tex. 76801, letter to Roger Bartlett, postmarked 2 Mar 1976, (naming Robert Edmund McCorkle as her father). [S137] Index to Texas Delayed Probate Birth Records (Austin, Tex. : Tex. Dept. of Health, Bur. of Vital Statistics), vol. 22, p. 10947, file 669221 (or 689221). [S334] Mrs. Daniel J. Tindol 2 Mar 1976 letter, above. [S334] Mrs. Daniel J. Tindol 2 Mar 1976 letter, above, (giving his name as Elmer Joe Blair and not naming the place). [S312] Social Security Death Index, online at http://tinyurl.com/AncestrySSDI, viewed on 27 Feb 1998 (giving her name as Edna Tindol; stating that she died in Sep 1992; not naming the place of death but stating she lived in Brownwood, Texas when she died). Note*: His parents died when he was young, and he and his brother were adopted by childless neighbors, Bo and Jesse Blair. He remarried soon after his divorce from Edna Erle McCorkle and had three sons with his second wife. [S58] Index to Texas Birth Records (Austin, Tex. : Tex. Dept. of Health, Bur. of Vital Statistics), typescript 1914, vol. 1, p. 239, file 15678 (not giving his name but identifying him as "Inf. of Robt. Farr"). [S334] Mrs. Daniel J. Tindol, 2200 Vine, Brownwood, Tex. 76801, letter to Roger Bartlett, postmarked 2 Mar 1976, (giving his name as Elmer Joe Blair and not naming the place). [S11] Index to Texas Death Records (Austin, Tex. : Tex. Dept. of Health, Bur. of Vital Statistics), typescript, 1961, vol. 1, p. 102, file 37982 (giving his name as Elmer Joe Blair). [S312] Social Security Death Index, online at http://tinyurl.com/AncestrySSDI, viewed on 27 Feb 1998 (stating that he died in Jul 1961 and not naming the place of death). [S334] Mrs. Daniel J. Tindol, 2200 Vine, Brownwood, Tex. 76801, letter to Roger Bartlett, postmarked 2 Mar 1976, (naming Robert E. McCorkle as her father). [S498] Vena Bob Gates, Julie Terry, & Ralph Terry, comps., Coleman County Cemetery Inscriptions, vol. 1 (Coleman, Tex. : Terry Studio, 1988), p. 215 (supposing that she is buried there because her name appears on a grave marker although the marker does not bear a date of death) (common marker with Richard E. Hunter). [S58] Index to Texas Birth Records (Austin, Tex. : Tex. Dept. of Health, Bur. of Vital Statistics), typescript 1918, vol. 2, p. 715, file 59599 (not giving her name but identifying her as "Inf. of Robt. E. McCorkle"). [S498] Vena Bob Gates, Julie Terry, & Ralph Terry, comps., Coleman County Cemetery Inscriptions, vol. 1, above, p. 215 (giving the date but not the place) (common marker with Richard E. Hunter). [S498] Vena Bob Gates, Julie Terry, & Ralph Terry, comps., Coleman County Cemetery Inscriptions, vol. 1 (Coleman, Tex. : Terry Studio, 1988), p. 215 (common marker with Mary O. Hunter). [S334] Mrs. Daniel J. Tindol, 2200 Vine, Brownwood, Tex. 76801, letter to Roger Bartlett, postmarked 2 Mar 1976. [S1108] Social Security Death Index, online at http://tinyurl.com/RootswebSSDI, viewed on 3 Feb 2007 (stating that he died in Dec 1981; not naming the place of death but stating that he lived in Brownwood, Tex. when he died). Note*: He was a doctor in Euless, Texas. [S58] Index to Texas Birth Records (Austin, Tex. : Tex. Dept. of Health, Bur. of Vital Statistics), typescript 1921, vol. 2, p. 923, file 21101. [S312] Social Security Death Index, online at http://tinyurl.com/AncestrySSDI, viewed on 23 Mar 1998 (giving only the date). [S312] Social Security Death Index, online at http://tinyurl.com/AncestrySSDI, viewed on 23 Mar 1998 (not naming the place of death but stating that he lived in Bedford, Texas when he died). [S1559] Texas Death Index, 1964-1998, online at https://www.familysearch.org, record for Robert Owen McCorkle, viewed on 28 Jan 2019. Marriage*: She married Roy Edmund McCorkle, son of Robert Edmond ('Edd') McCorkle and Oma Pearl Owen, in July 1954. [S498] Vena Bob Gates, Julie Terry, & Ralph Terry, comps., Coleman County Cemetery Inscriptions, vol. 1 (Coleman, Tex. : Terry Studio, 1988), p. 211 (supposing that she is buried there because her name appears on a grave marker although the marker does not bear a date of death) (common marker with Roy E. McCorkle). [S498] Vena Bob Gates, Julie Terry, & Ralph Terry, comps., Coleman County Cemetery Inscriptions, vol. 1, above, p. 211 (common marker with Roy E. McCorkle). Note*: He was killed in a car wreck. [S58] Index to Texas Birth Records (Austin, Tex. : Tex. Dept. of Health, Bur. of Vital Statistics), typescript 1957, vol. 6, p. 2726, file 160751. [S498] Vena Bob Gates, Julie Terry, & Ralph Terry, comps., Coleman County Cemetery Inscriptions, vol. 1 (Coleman, Tex. : Terry Studio, 1988), p. 211 (giving the date but not naming the place). [S11] Index to Texas Death Records (Austin, Tex. : Tex. Dept. of Health, Bur. of Vital Statistics), typescript, 1975, vol. 3, p. 1050, file 33374. [S312] Social Security Death Index, online at http://tinyurl.com/AncestrySSDI, viewed on 23 Mar 1998 (stating that he died in May 1975; not naming the place of death). [S498] Vena Bob Gates, Julie Terry, & Ralph Terry, comps., Coleman County Cemetery Inscriptions, vol. 1, above, p. 211. Birth*: She was born on 16 March 1817. Death*: She died on 3 December 1875 at age 58. [S20] Mrs. Leslie (Marcella) Stout, 17 Cadillac Dr., R. # 1, Crawfordsville, Ind., letter to Roger Bartlett, 13 May 1974 (citing grave marker, Providence Cemetery, Montgomery County, Inc.). [S987] Frances Haynes Quinn, comp., Obituary Dates and Your Family Ties: Over 140 Years in Montgomery County, Indiana (Cottage Grove, Ore.: Cottage Grove Gen. Soc'y 1987), p. 121 (identifying her as "Miss Airhart"). [S987] Frances Haynes Quinn, comp., Obituary Dates and Your Family Ties: Over 140 Years in Montgomery County, Indiana, above, p. 121 (naming "Miss airhart" as her mother). [S312] Social Security Death Index, online at http://tinyurl.com/AncestrySSDI, viewed on 9 Aug 2005. [S1034] Fort Worth Star-Telegram, Fort Worth, Tex., online at http://www.star-telegram.com, 28 Oct 2003 (obituary of John Allen Browder, not giving the date but stating that he was sixty-three years old when he died on 26 Oct 2003). [S1034] Fort Worth Star-Telegram, Fort Worth, Tex., online, above, 28 Oct 2003 (obituary of John Allen Browder). [S312] Social Security Death Index, online at http://tinyurl.com/AncestrySSDI, viewed on 9 Aug 2005 (giving the date but not the place). [S14] "Descendants of Joseph Callaway of Virginia," The Callaway Journal, vol. 5 (1980), p. 76. [S724] Descendants of Joseph and Peter Callaway (n.p. : The Callaway Family Association, Inc., 2000), p. 5 (stating that she was the widow of Joseph Calland). [S724] Descendants of Joseph and Peter Callaway, above, p. 5 (stating that she was the widow of _____ Langhorne). [S14] "Descendants of Joseph Callaway of Virginia," above, p. 76 (giving her name as "Mary Turpin Calland Langhorne (widow of Joseph Calland & ? Langhorne)" and not giving the date). [S105] The Callaway Journal, vol. 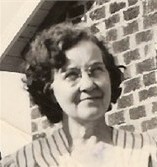 1 (1976), p. 57 (giving her name as Mary Langhorne Turpin Calland). [S724] Descendants of Joseph and Peter Callaway, above, p. 4 (giving her name as Mary Turpin Calland Langhorne and not giving the date). [S724] Descendants of Joseph and Peter Callaway, above, p. 5.